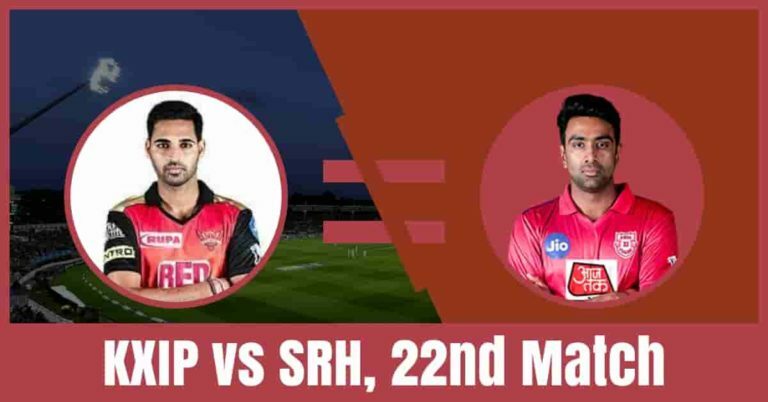 Who Will Win The Match Today of SRH vs KXIP 22nd Match Indian Premier League 2019? Punjab and Hyderabad, both the teams have lost their last game. Middle-order batting issue is costing games for both the team. Kings XI Punjab is all set to take on Sunrisers Hyderabad on Monday, April 08, 2019, at Punjab Cricket Association IS Bindra Stadium, Mohali. If you are looking for Dream 11 free grand league teams, the best choice for captain and vice-captain, SRH vs KXIP latest news, Kings XI Punjab vs Sunrisers Hyderabad full squad then you are at the right place. We have covered all the above information and made things easy for you. All the above information are very accurate and taken from very reliable sources. Make sure to read the post carefully so that your winning chances increase to almost 100%. Our funda is very simple we predict the players, the players perform and you win. 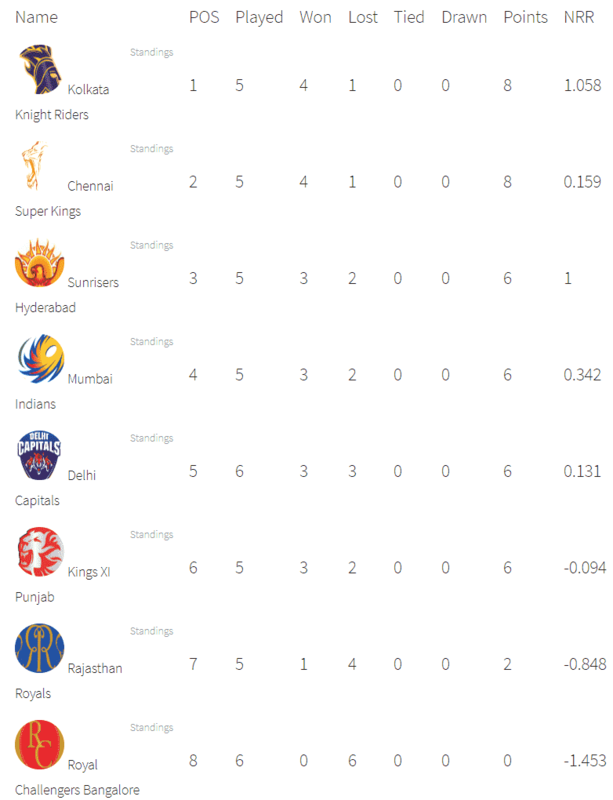 Kings XI Punjab has played 5 matches, won 3 and lost 2 matches. They are in the 6 positions of the points table with 6 points in their pocket. They have lost their last match against CSK by 22 runs. Prior to that, they have won against DC by 14 runs and won against MI by 8 wickets. Sarfaraz Khan, Lokesh Rahul, Chris Gayle, Mayank Agarwal and David Miller are the top scorers of Punjab team. They have scored 165, 146, 144, 129 and 123 runs. Sam Curran, Ravichandran Ashwin and Mohammed Shami are the top wicket-takers. They have taken 6, 6 and 5 wickets. On the other hand, Sunrisers Hyderabad had a good start this season of Indian Premier League but their middle-order batting has been exposed in the last two matches. They have played 5 games, won 3 and lost 2 games. They have lost their last match against Mumbai by 40 runs. Prior to that, they have won against DC by 5 wickets and won against RCB by 118 runs. David Warner, Jonny Bairstow and Vijay Shankar are the top scorers of Hyderabad team. They have scored 279, 262 and 105 runs. Mohammad Nabi, Sandeep Sharma, Siddarth Kaul and Rashid Khan are the top wicket-takers. They have taken 7, 6, 5 and 4 wickets. KL Rahul, Mayank Agarwal, Chris Gayle, David Miller, Sarfaraz Khan, Sam Curran and M Ashwin are the key players of Kings XI Punjab Team. M Ashwin will lead the KXIP team. Mujeeb Ur Rahman, Hardus Viljoen or Andrew Tye, anyone will play today depending on the condition of the pitch. KL Rahul, Mayank Agarwal and Chris Gayle will lead the batting department. Chris Gayle and Sam Curran are the most valuable players of the Punjab team. Bowlers: Mohammed Shami, M Ashwin, Mujeeb Ur Rahman/Hardus Viljoen/Andrew Tye. Ravichandran Ashwin(c), Lokesh Rahul(w), Mohammed Shami, Chris Gayle, Simran Singh, Mayank Agarwal, Sarfaraz Khan, Ankit Rajpoot, Hardus Viljoen, David Miller, Moises Henriques, Mandeep Singh, Varun Chakravarthy, Murugan Ashwin, Sam Curran, Mujeeb Ur Rahman, Andrew Tye, Arshdeep Singh, Karun Nair, Agnivesh Ayachi, Nicholas Pooran, Harpreet Brar, Darshan Nalkande. David Warner, Jonny Bairstow, Vijay Shankar, Mohammad Nabi, Rashid Khan and Bhuvneshwar Kumar are the key players of Sunrisers Hyderabad Team. Bhuvneshwar Kumar will lead the SRH team. SRH may play with the same team. David Warner and Jonny Bairstow will lead the batting department. Vijay Shankar and Mohammad Nabi will playa s a key all-rounder. Siddarth Kaul, Rashid Khan and Bhuvneshwar Kumar will lead the bowling department. David Warner and Jonny Bairstow are the most valuable players of the Hyderabad team. Batsmen: David Warner, Deepak Hooda, Yusuf Pathan, Manish Pandey. Bowlers: Rashid Khan, Sandeep Sharma, Bhuvneshwar Kumar, Siddarth Kaul. Bhuvneshwar Kumar(c), David Warner, Siddarth Kaul, Jonny Bairstow(w), Ricky Bhui, Vijay Shankar, Abhishek Sharma, Manish Pandey, Wriddhiman Saha, Deepak Hooda, Shakib Al Hasan, Yusuf Pathan, Basil Thampi, Mohammad Nabi, Kane Williamson, Rashid Khan, Martin Guptill, Sandeep Sharma, Billy Stanlake, Shreevats Goswami, K Khaleel Ahmed, Shahbaz Nadeem, T Natarajan. The pitch of Punjab Cricket Association IS Bindra Stadium, Mohali is good for batting and shot making will be easy on this ground. The spin bowlers and the bowlers can also get some purchase from the wicket. The weather of Mohali is predicted to be partly cloudy and it will remain the same throughout the day. The sky will be clear at the time of the match and there is no chance of rain today. The temperature is expected to be 28-Degree and the humidity to 49%. Sunrisers Hyderabad and Kings XI Punjab, both the teams have won one match in the last Indian Premier League. If we look at the statistics of the last five matches between KXIP vs SRH, SRH has won 4 matches whereas KXIP has won one game. According to Crix11 astrology cricket match prediction, SRH will win the match. According to crix11 astrology toss prediction, KXIP will win the toss and opt to bat first. This is it for Today’s KXIP vs SRH Dream11 Fantasy Cricket Prediction 22nd Match. What is your best team? What do you think Who Will Win Today? Leave a reply in the comment section.